On Monday I met Dr Peter Williams to discuss riverbank weeds. 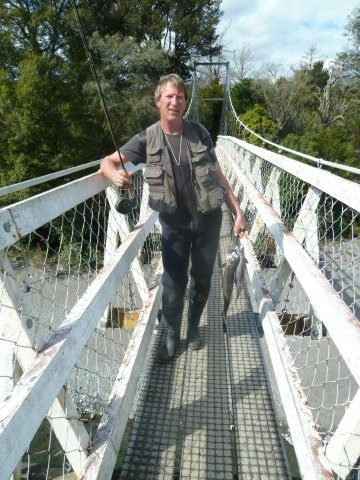 Peter was on his pilgrimage from the South Island to fish the Tongariro. He reported a grim experience compared with his experiences over previous years. He had caught two fish over 5 full on days. He reported that, compared with some others, he had done well. My experience has been a little better this week though I have fished on only two occasions and landed fish each time. The flow graph shows the flow rate for the month. 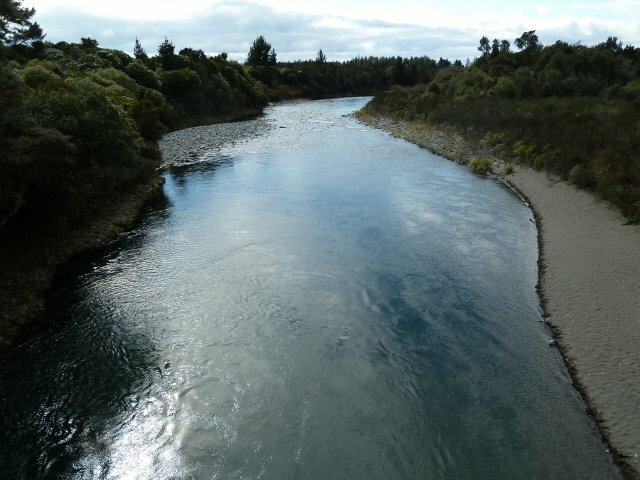 The flow through Turangi is getting lower and is caused by a month without rain, resulting in very clear water. The Red Hut pool: The Red Hut swing bridge is a great platform from which to see trout in this pool. 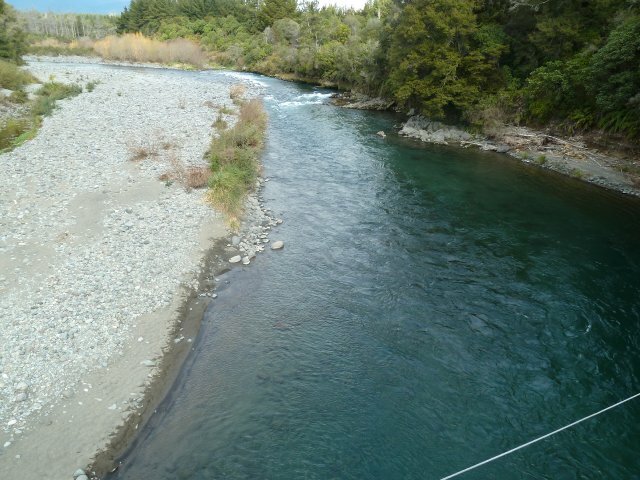 The Red Hut Pool is deep and a common technique for the angler fishing is to have a spotter giving directions from above, on the bridge. Upstream is some nice looking water but I have seen few trying this water. Having heard how hard the fishing was I was pleasantly surprised to meet Peter (Tayls) Taylor, returning from a hard morning further upstream, with two nice trout. Tayls had put in a few hours and been rewarded. He had had the same result the day before. Peter Wiliams spent his working life as a weed scientist and has advised us on our vegetation policy. 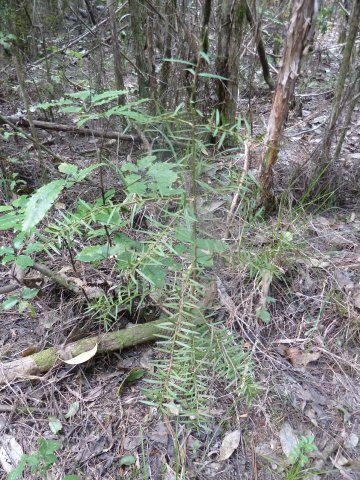 Peter has looked at what is happening under the poisoned pines and is pleased with the regeneration of indigenous vegetation with a significant growth of Totara, Five Fingers and Kowhai as a result of the increased light. In other areas there is good regeneration of Kanuka. The piles of felled willow in the lower river are scheduled to be burnt before the 1st October. I hope that there is no significant flood before that occurs. The next issue is to deal with the stumps which are showing growth due to the warmer Spring weather.